This working Mom of two started Running in 2013 in a bid to encourage her teenage daughter to join her in order to lose weight. Though Alisha did not join in then, Aparna discovered that she enjoyed Running. It gave her that much needed “Me time” to clear her head and plan the day. After all she had indulged in Athletics during school; so what if it was more to get out of studies 😉. Later in college, she would walk as much as possible in order to save up her pocket money 😁. 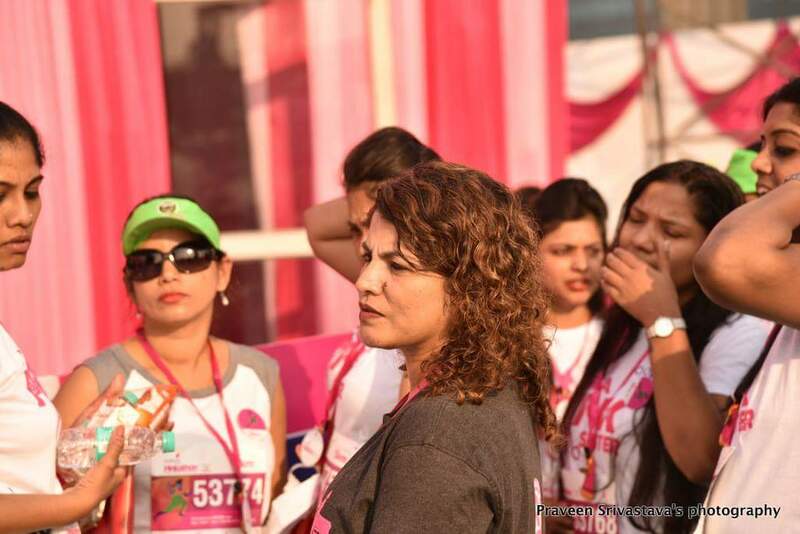 Aparna did her very first 10K at the Pinkathon in 2013 encouraged by her ex-colleague Sharmila Munj. Of course, getting to meet Milind Soman was an added incentive to participate 🤗. Thereafter, she also joined in for the monthly XPTC runs. For someone who did not like Gyms, Running was the easiest activity to take up. Aparna would run solo for about 5-6K daily depending on the time availability as she also had to commute to her office in Marol from Mahim. She enjoyed exploring different routes to keep things more interesting. 2015 onwards, Aparna became more focused and wanted to increase her pace in a bid to improve her timing. She was introduced to the Mumbai Road Runners by her Pinkathon buddies who told her to join in for their monthly Bandra-NCPA run as she wanted to do her first HM at the SCMM in January. Aparna connected with Samuel Chettiar and Bijay Nair amongst others and started volunteering and helping out during the monthly MRR runs 😊. Since Volunteering gave her so much pleasure, it became a regular affair as Aparna helped out whenever feasible and took on the onus of managing the 21K which were introduced at Pinkathon over the last three years. With a cut off of 2:30 each female runner was paced by individual male pacers. This HM was started in a bid to help Women Runners improve their timings and achieve their PB’s 😎. 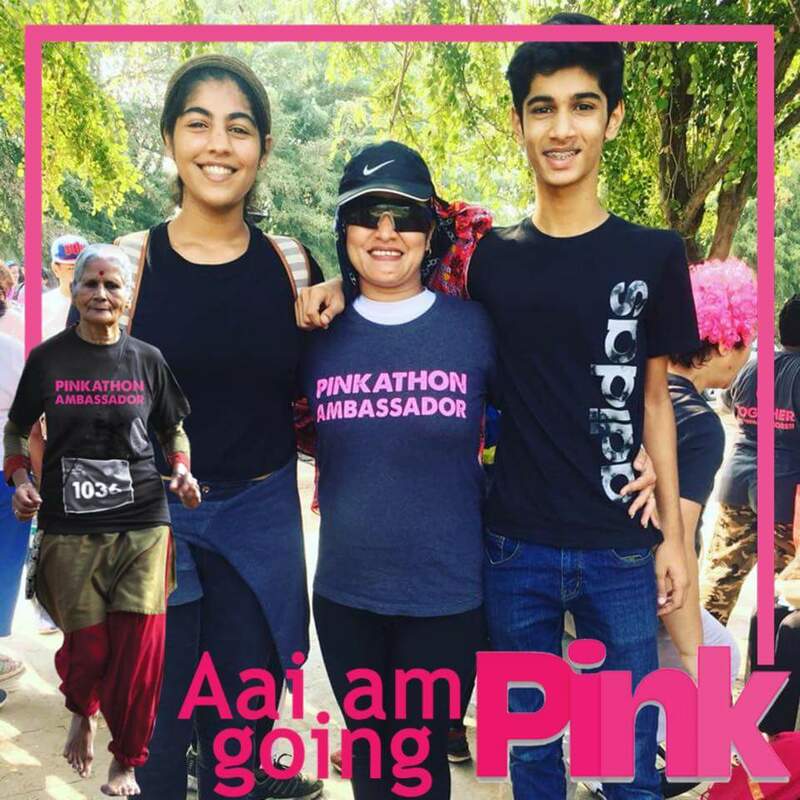 When Pinkathon started their Inter-city Runs, Aparna felt inspired watching so many runners running long distances from one city to another for days together. 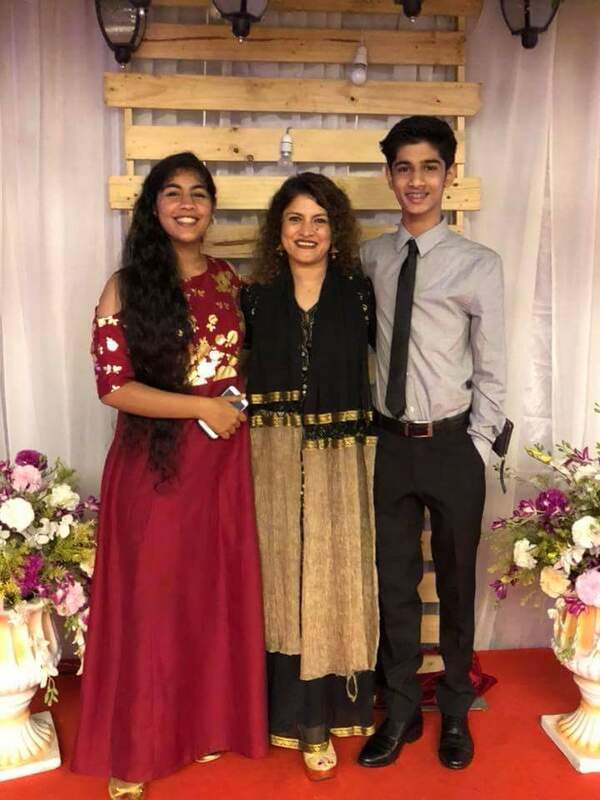 While volunteering during one such Run, she mentioned to Sonia that they should at least do Mumbai-Pune when Milind Soman happened to overhear her. He encouraged them to do so and that’s when Terrific Trio of Sharmila Munj, Sonia Kulkarni and Aparna D’souza accepted the Challenge 😯. They trained for a period of 3 months putting in the required mileage whilst also working on Strength training with one compulsory Rest Day following the schedule provided by Milind. The tough ladies managed to achieve their goal of running from Mumbai-Pune in 3 days with elan 😎. 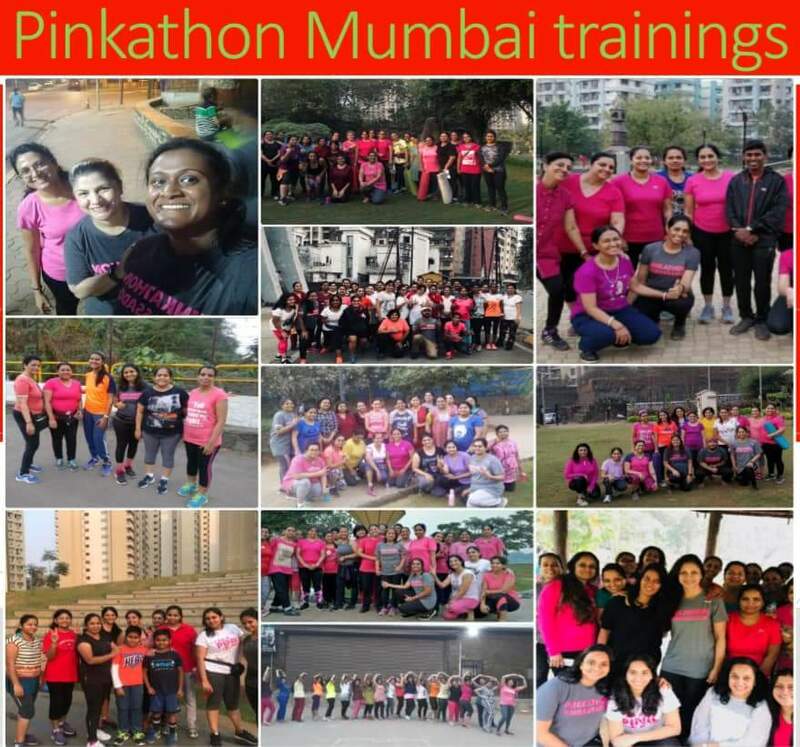 In 2016, Pinkathon also introduced their Har Ghar mein Pinkathon initiative in order to further promote fitness in women. The idea was to encourage women to take out time for themselves and focus on their health. They started free training groups in different localities. Aparna heads one such group at Shivaji Park. They meet regularly from 5:45-6:30 on alternate days when she usually runs from her home in Mahim to join the Gang. Having successfully completed the Mumbai-Pune Run in 2016, Aparna decided to join the fun yet again in 2017. This time, they upped the ante and a group of 20 women who trained for 6 months were shortlisted based on regular tests that confirmed their readiness and capability for the humongous task ahead. She says that she felt the first time was easier as she could enjoy running at her own pace whilst the second time she had to ensure she ran along with the others in her Pacing Bus. Aparna intends to hop on the Bus yet again in 2018, when the plan is to get 50 women to run from Mumbai-Pune. 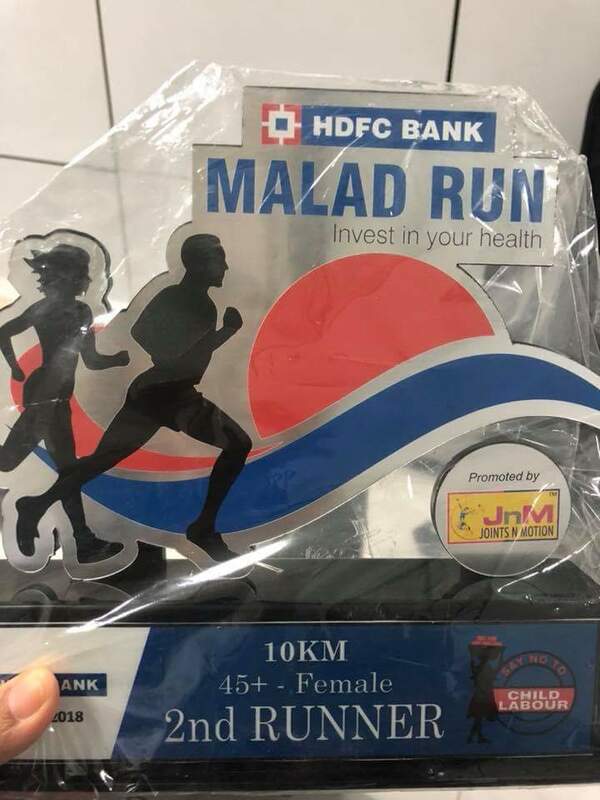 Recently, she got her very first podium finish in the 10K where she was the Second Runner Up in her Age Category at the Malad Run in February 🤗. Since Aparna enjoys Ultras so much, she now wants to get proper Coaching in order to also work on her pace. Her goal is to participate and successfully complete the much touted Comrades Marathon at South Africa in the following year 😎. On a parting note, Aparna states that she really admires other Women Runners who manage to juggle and work out despite their busy schedules. She advises Newbies to find time for themselves and take care of their health. After all; when you are healthy and happy, your family will definitely be happy isn’t it? Oh Yes- these days Aparna’s daughter Alisha has started Running too. As for her son Abhishek, he wants to beat his Mom in a 5K pretty soon 😄. Hills, hills and more hills! Well what did you expect? It is THE Big Sur marathon-cited to be amongst the toughest ones in the world. Being a runner and most importantly being in the bay area, I couldn’t not be a part of the Big Sur Marathon which was taking place on April 29th,2018. Fortunately, there were shorter distance categories at the event besides the daunting 26.2 miler. Since I had just completed my second Olympic distance triathlon last Sunday, I thought signing up for the 12-km distance on these rolling hills was a sensible decision, even though my heart screeched stating I was capable of doing the 17 k or even the 32 km. Probably, I chided my heart had I not pounded my poor legs at the triathlon last week. Besides it was my 12thwedding anniversary and I decided to celebrate it with a 12k run on beautiful course. The expo: Everything was up to the mark right from the bib collection which was held at Portola plaza at Monterey Bay. I was familiar with this one as it was the same place where the bib collection for the Big Sur half marathon took place in November 2017. I expected the crew to be a snooty and uptight lot, considering the status and reputation of the Big Sur race. To my surprise, they were as chill as probably a Pina cola drink that you order at a cocktail party. Wearing friendly smiles, they went about with normalcy as any common man on the road. “Hello there. Come all the way from India?” they asked smilingly as I displayed my photo id. “From India but currently residing at Stanford.” I smiled back. The bib was a beautiful one as opposed to the other bibs which had your name and number written on a plain white sheet. This one had a beautiful backdrop of the big sur route and one that was really worth preserving. The organizers had also carved the Big Sur Logo with the names of the participants in the 2018 edition. I was thrilled to find my name. Since the hotels were sold out, I had booked myself on a ranch which was 45 minutes from the start point. A weekend amidst nature and farm animals was what I needed to relax my nerves, not that I was stressed about running 12k. The race: Slated to begin at 7:35, I reached the start point at Highway one, which was incidentally the finish point for the full marathoners. There was a loud cheer and gusto at the start line which made up for a rather dreary and cold weather that greeted us this morning. The sky portrayed a dull shade of grey with such gloominess that it appeared as though it would cry any moment. I met a couple wearing Napa Valley marathon t-shirts at the start. Engaging in a conversation with them, I asked about the Napa race which was held on March 4th2018. They were also doing the 12 k. “We just did the full last month”, they said and I silently applauded them for their sensibilities. When the race began, I decided to treat this as a fun run, hoping to click pictures of the scenery. After the first km, I was greeted with a huge hill, prompting even the strong looking runners to quit their strides and walk instead. I decided to continue running as long as my legs were willing to support me. At the 2.5 km mark, the 5 k runners turned while we went straight ahead. I couldn’t help noticing how the 5 k runners were cheered despite doing a small distance. One of the aspects that I admire in America is that even runners running a 3 km distance are treated with respect. As I went ahead, I saw a volunteer dressed as a dinosaur greet us from the grass on the left. A few feet away, there were more volunteers who were dressed in feathers and wigs along with drummers who were drumming away furiously, probably resonating with the runners’ heart beats up those inclines. I soon entered the scenic Point Lobos state natural reserve. The cascade of greenery on either side was spread out like a green carpet. The roads soon paved way to a beautiful view of the ocean where the waves lashed on the rocks. The inclines continued all the way up to the 6.5 km mark where we turned. I stopped for a few minutes to enjoy the feel of the breeze on my face and the sound of the waves. I was told that we were likely to see some sea lions sunbathing on the rocks if we were lucky. However, the cold weather seemed to have kept them indoors today. Running through the natural reserve again, I reached the 9thkm mark where I was greeted by rains. Oh no! I exclaimed, hoping they weren’t going to play spoilsport. The hills continued like a chain reaction. Just as one ended, another began. It appeared as though they were holding hands trying to mock the runners. My heart went out to the marathoners. My! They didn’t call this a tough one for nothing. Just as we were nearing the finish line, a volunteer shouted, “one more hill, one more hill.” I huffed and puffed but no! Thankfully I didn’t blow down any house. Instead I just kept going and going till I reached the finish line and the course was longer by 500 metres.